I seek refuge in Allah from the accursed Satan. In the name of Allah the Most Gracious, the Merciful. Praise be to Allah, Lord of the Worlds, and prayers and peace be upon our Master and Prophet, the Seal of the Prophets Abi Al-Qasim Muhammad Bin Abdullah, his good and pure family, all his good and chosen companions and all the prophets and messengers. Gentlemen, scholars, ministers, deputies, distinguished guests, brothers and sisters, Peace and God's mercy and blessings be upon you. I welcome this great and blessed audience, and I thank you for the trouble to attend and participate in this celebration. My speech will address Beirut and the second district in particular - [a section will focus] on the Baabda constituency and the [Southern] suburbs in particular, and another on other developments. We cannot keep talking about the elections and Lebanon. It is clear that the region these days is going through a very sensitive and important stage - faced with events and developments involving the targeting of Syria and [other events] that are taking place in Syria. They can affect the entire region. This issue will also be part of the address. I will leave it to the end in order to address it properly, God willing. 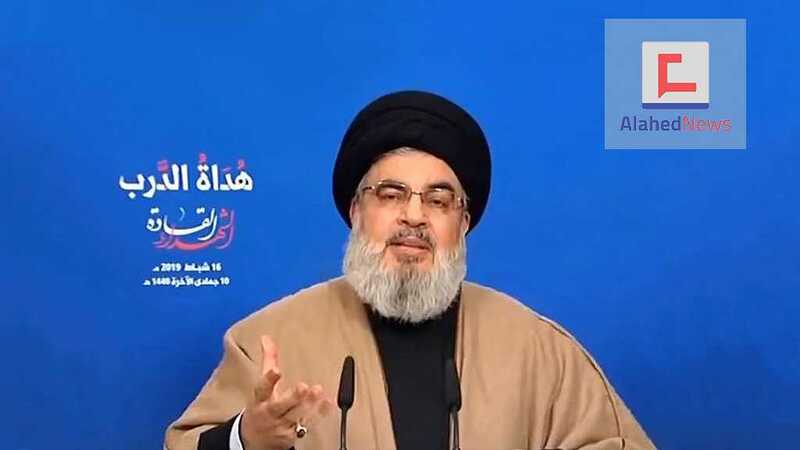 First, the aim of this celebration, as the one observed last Sunday in Nabatieh, is to declare support for Hezbollah because this festival was organized by Hezbollah. [It was also organized to declare] popular, political and public support for the two lists: the Beirut Unity List in the second constituency of Beirut which is made up of an alliance between the Amal Movement, the Association of Islamic Charitable Projects, the Free Patriotic Movement, Hezbollah as well as respected, prestigious, and political figures who hail from Beirut, along with support and backing for the National Accord List in Baada constituency that is made up of the Amal Movement, the Free Patriotic Movement, the Lebanese Democratic Party and Hezbollah. I will start with Beirut, although some of the content regarding Beirut concerns the whole country and some of the content regarding the Baabda region concerns the whole country. From Beirut, there are large popular groups that feel it is their natural right to be represented in the Parliament. They have deputies in the Parliament elected to express their will, rights, voice, interests as well as the rights and interests of the people of Beirut. Within the majority law, chances of this were weak. But one of the characteristics of the law based on proportional representation is that it has opened the way in all regions and in all aonstituencies. This is what the great political forces must recognize. They have to recognize this fact. Many in Baalbek al-Hermel said ‘we are Muslims' after we said this is a law based on proportional representation. There are popular groups that will have an electoral quotient. They will have deputies in the Parliament from outside our list. The discussion is over the number. The same goes for Beirut and the others. The aim of this list is to achieve this representation for these popular groups. The goal is nothing else. Therefore, this list, the ‘Beirut Unity List' is not running in the parliamentary elections in order to confiscate the decision-making process in Beirut as the Future List claims. It is accusing this list in particular because their assessment is that this list constitutes a certain electoral force. I do not want to reflect on their inappropriate rhetoric. They regard all other lists as being made to seize Beirut's decision-making process, directly or indirectly. This is not true. The goal is not to seize the decision-making process in Beirut. There are people from Beirut, who vote in Beirut, and are registered in Beirut. Their natural right is to have deputies representing them in the Parliament. That is the goal, full stop. This is the extent of the issue. In addition, those who are voting for the Beirut Unity List or elect other lists are residents of Beirut. It is not like they are holding a celebration in Beirut and bringing people from the rest of the governorates. They are registered in the voters list. Second, in all electoral campaigns, it should be cautioned that Beirut's two constituencies are different from all the other constituencies. It is the capital of Lebanon. The capital of Lebanon should not lose this characteristic. Beirut is the capital of Lebanon, which means that it embraces all Lebanese. Its demographic and popular composition is made up of all Lebanese including Muslims and Christians from all sects. Beirut City should be the essence of Lebanon, its title, symbol, as well as the true, sincere, and complete expression of the Lebanese composition and structure. Beirut's characteristic means that no movement, party, group, association, or leadership must limit Beirut to its own color. Beirut must remain the color of Lebanon and the color of the Lebanese people. It is logical for everyone from all doctrines, sects, parties and political lines in Beirut to feel that they have a real chance of being represented. This is one of the advantages of the Proportional Representation Law. Third, one of the headlines strongly suggested, and we agreed to put forward and discuss briefly, is the identity of Beirut. 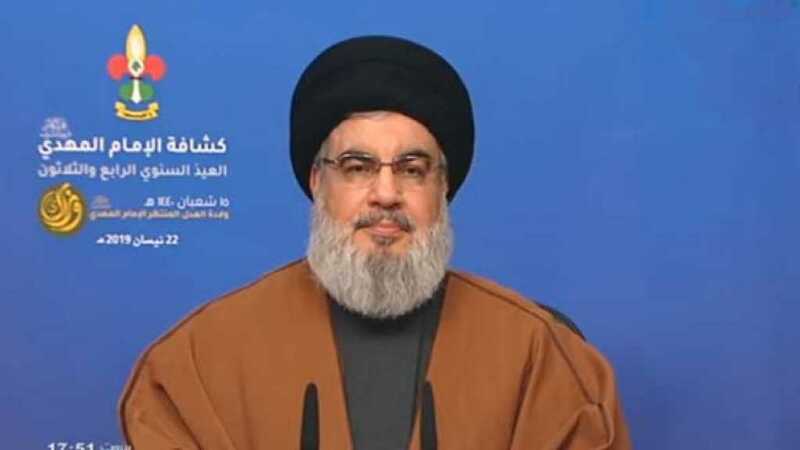 Some might say that Sayyed is ‘more laid back than is necessary'. Now we will talk about the identity of Beirut and preserving its identity. Yes, there is a battle over the identity of Beirut. Some have ignored the stage of what they have presented Beirut during the long years of representing it, namely the Future Movement - its parliamentary representation, presence in the government, and in the premiership. Beirut has a long experience with this political team. It ignored all this to head to a different headline. What did the title of the battle in Beirut became? It became the Arab identity, the Arab affiliation, Arabism, the Arab project, against who? The Persian Project. Now, all those on the Beirut list and those who support it from the people of Beirut have become followers of the Persian project. The other lists apart from the Future list are also accused of this. Let us talk about this subject a little. What is meant by the Arab identity? Its ok ‘he said it with a giggle and a smile'. Some might say, ‘Sayyed is in a good mood'. What is meant by the Arab identity? It might mean as some thinkers say that the subject of the Arab identity is the Arabic language and that Arabs are not an ethnic group. It is not a nationalism similar to other forms of nationalisms. There is the Arab ethnicity, for example, the Kurds are an ethic group, the Persians, the Turks. For example, they say that Arabs are the ones who speak Arabic. I heard a few days ago in a lecture by one of the scholars in the Gulf region - you know that there is a debate now over the subject of Arabs and Arabism - saying and attributing a Hadith [a speech] to the Messenger of Allah (Peace and Blessings Be Upon Him). Of course, I did not have the chance to inspect whether it existed in the modern compilations or not. But I heard him say ‘the Arabic tongue'. It means, it is not blood or ethnicity. It is the Arabic tongue. Thus, whoever speaks it is Arab. If that opinion were true and adopted, for example, then Arabic and Arabism is a broad topic. It is a human and cultural topic that cannot be limited to ethnicity, blood, or descent. Now, we do not want to prolong this research because the Americans are coming to us. We want to talk a little bit about them. If we assume that Arabic and the Arabic identity is the Arabic language, I suggested to that the Electoral Supervisory Authority - we are kidding now -form a committee specialized in the Arabic language. Let it make exams and test the lists: the Future List, the Beirut Unity List future and the rest of the lists. Let it test them to see who is more Arab than the other? And if they wanted to test the leadership of the parties, we are also ready for any Arabic exam. Let us see who is an Arab and who is not Arab. This is if Arabic and the Arabic identity is a language? Secondly, if Arabic, the Arab identity and Arab affiliation is one's ancestry - for the sake of humor - I propose that the supervisory bodies form a committee and check the lineage of the parties' leadership, the political forces and lists. Let them look into our ancestry and see who is the most Arab, who is an original Arab, and who is more Arab according to their scale. Unfortunately nowadays, countries are being destroyed and sanctities are being violated. 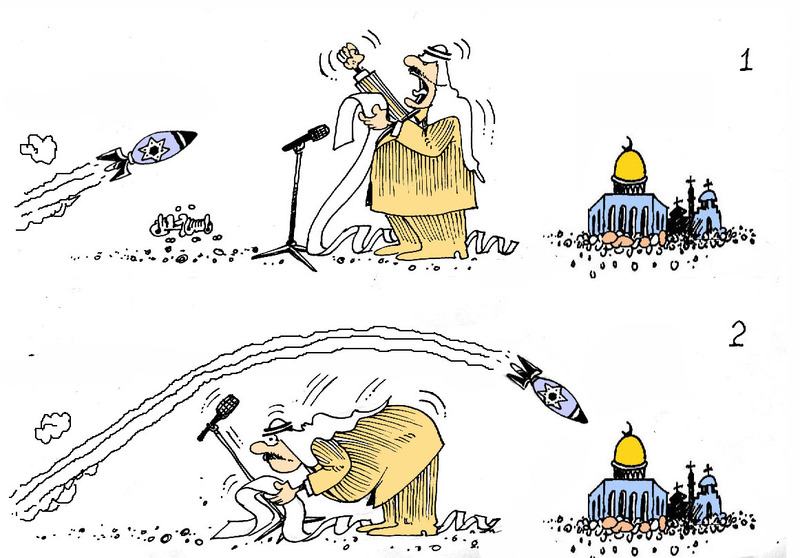 No one is lifting a finger in many parts of the Arab world. I want to ask the people, the other party and everyone who is talking about this subject if this is Arabism - I do not want to be turned into a supervisory body -what Arabism are you inviting us to that is suppose to be Beirut's identity? 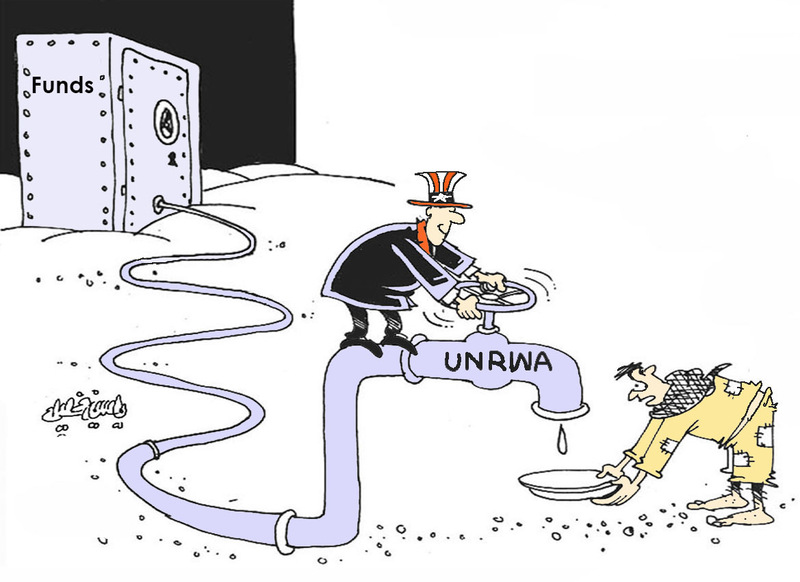 Is Arabism submitting to the will of American arrogance, subordination to it, and fulfilling its projects, ambitions and greed in the Arab and Islamic worlds? Is it fighting its battles as proxies? Is Arabism the abandonment of the Palestinian people, Palestine, the sanctities, and these people that are being killed, arrested, besieged, and starved, and suffer from poverty, displacement, and oppression; whose lands, wealth, belongings, futures and sanctities are being exploited. These sanctities belong to the nation. 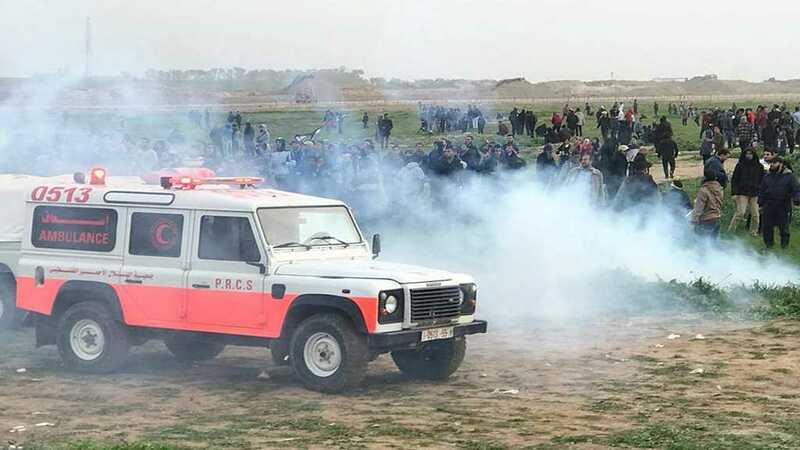 Does Arabism mean that the Arab world, the Arab countries and Arab forces that claim to be Arab remain silent about what is happening every Friday in Gaza where there are dozens of martyrs, thousands of wounded, unarmed people facing [the occupation] with their hands and bare chest? Is this Arabism? Is Arabism approving ‘the deal of the century' that liquidates the Palestinian cause and marketing this deal? Is Arabism being silent about the US administration's recognition of al-Quds as the eternal capital of "Israel"? Does Arabism mean recognition? All those years we heard some Arab leaders say ‘no, Palestine is the right of the Palestinian people, but brother what can we do? 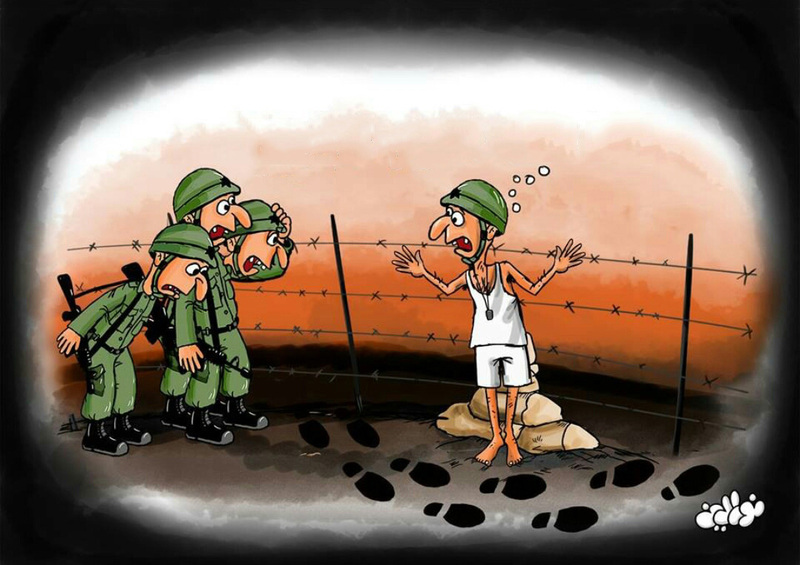 "Israel" is the reality. It is a strong country, supported by the countries of the world. We cannot do anything. Reality and pragmatism require that we accept an "Israeli" state.' Today, the Saudi Crown Prince recognizes that the forefathers of these Zionist occupiers have the right to the land of Palestine and those invaders and terrorist gangs have the right to reside on the land of the Palestinian state. Is this the Arabism you are calling us to? Does Arabism mean offering the Arab identity and belonging as well as hundreds of billions of dollars that belong to the Arabs and Muslims to America, France, Britain and, now, Spain, and I don't know who else? They revive America's economy and secure employment for millions, while in the Arab world and not only in Saudi Arabia there are tens of millions of unemployed youths. 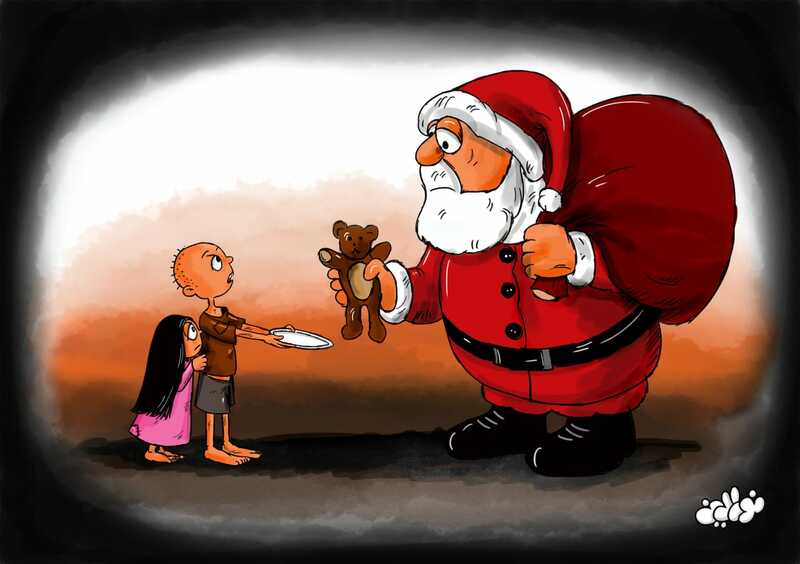 There is unemployment, poverty, destitution, asylum, migration, displacement, hunger, famine, and diseases affecting millions in more than one Arab country. There are also high rates of illiteracy in the Arab world, deprivation and stifling living crises. This money is spent in America in order to woo the American master. It is not spent on the Arab people. Is this Arabism? Is Arabism worse than that? Is it ‘cleaning up the Islamic religion' and finding a specific version - frankly a dark copy of Islam - to employ and utilize it as well as spend billions of dollars in confronting the Soviet Union, only because America and the West asked for it as the Saudi Crown Prince admitted days ago in America? Does Arabism mean launching a devastating war on Yemen and the people of Yemen for more than three years? 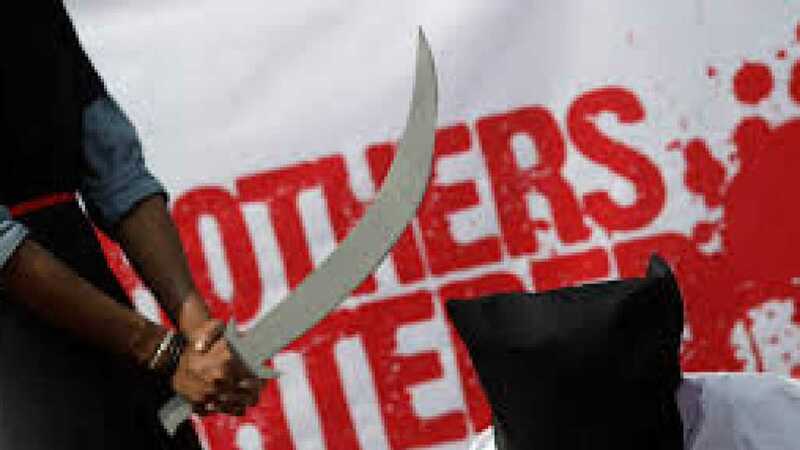 If Saudi Arabia were the eldest brother and the leader in the Arab world as it is the Custodian of the Two Holy Mosques, even if the Saudis had been wronged - although they haven't been - the older brother and the eldest father continues to embrace his children, interacts with them and handles their accountability. He hits their hands not cut off their heads. He does not squash them everyday in horrible massacres. Is this Arabism? Does Arabism mean the destruction of Iraq, Syria and Lebanon? A few days ago, the people of Beirut were told not to elect those destroying Iraq and Syria. I support them. I tell them, yes, people of Beirut do not elect who destroyed Iraq and Syria. Who destroyed Iraq? Iraq had a government, a Parliamentary, a stable situation, etc. In recent years, who supported, funded and pushed Daesh to do what it did in Iraq? Before 2003, who sent thousands of suicide bombers to Iraq? If he sent them to Palestine, "Israel" would have been wiped out of existence. 4,000 suicide bombers, would "Israel" have remained? It would not. Who brought tens of thousands of fighters from all over the world to Syria and supported them financially and militarily to destroy it? Is this Arabism? 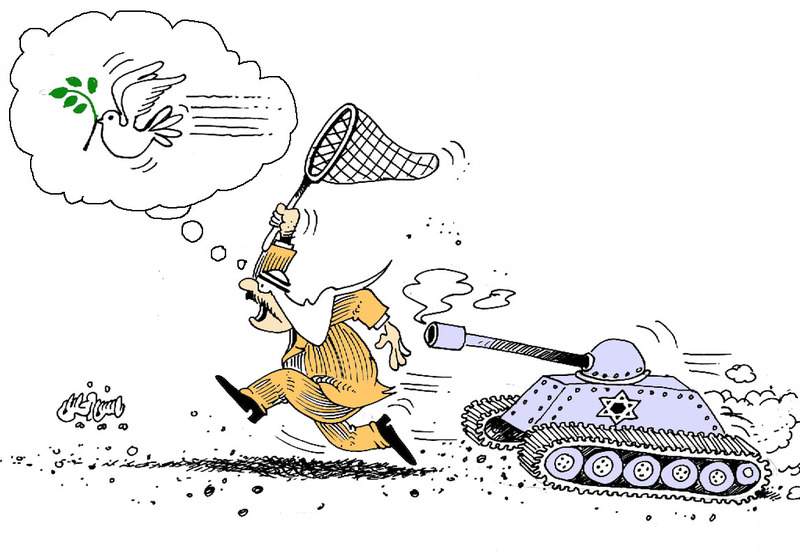 Does Arabism mean inciting "Israel" to launch the 2006 July war? 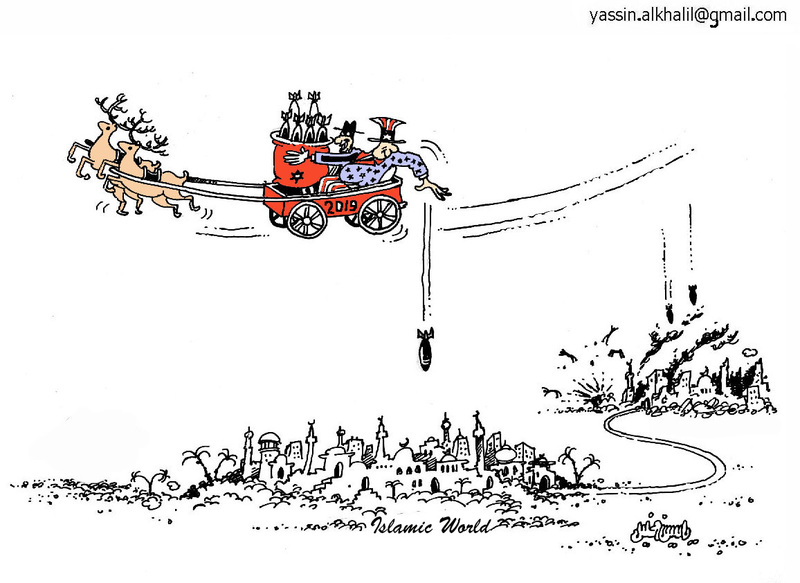 Does Arabism mean inciting "Israel" to flatten the Gaza Strip. You heard this on the screens as well as the recent war on Gaza. Is Arabism so and so? This is sufficient enough and I say this is not the Arabism of Beirut. Beirut is the capital of Lebanon. What was the history of Beirut and its people with all their sects, Muslims, Christians, Shiites, Sunnis, and Druze, all of them? Beirut shouldered the Arab issues and concerns in its newspapers, articles, seminars, conferences, theaters, songs, poetry, and literature. Beirut has always supported Arab causes. It protested for Palestine and others. When any Arab country was subjected to an invasion, the people of Beirut demonstrated and expressed their solidarity. Beirut and its people never once in the past distanced themselves from Arab issues and Arab concerns. This is a new trend in recent years. Beirut's real title is Arabism. Its real title is embracing the Palestinian cause from the early days of the conflict and the "Israeli" project. Beirut's title is the resistance that fought the occupation in 1982. The first bullets of the Lebanese resistance were fired from the streets of Beirut. With their guns and bombs, the people and resistance of Beirut forced the occupation soldiers to leave Beirut quickly, defeated, and humiliated. The slogan is known. People remember it. At that time, the "Israelis" asked the youth and people of Beirut through loud speakers ‘not to shoot at us, we are withdrawing'. "Israel", which occupied the Arab capital, the capital of Lebanon, came under fire without negotiations, without humiliating conditions, without gains, without recognition or anything. Beirut's true identity is this Arab identity, the identity of the resistance. Yes, let's compete on preserving the identity of Beirut. I do not claim that it is only the Beirut Unity List that preserves this identity. The other lists and competitors preserve this identity too. But certainly the kind of Arabism that I spoke about is a strange and foreign to Beirut's Arabism. Thirdly also in Beirut, one of the first duties is to preserve the diverse social fabric of Beirut. There are social, economic, commercial, and neighborly relationships. There are mixed neighborhoods and tens of thousands of mixed marriages. These are one of the things that should be preserved. No one should resort to sectarian speech or incitement for political or electoral gain. One of the most important areas whose social fabric must be maintained is the city of Beirut. The candidates talk about their electoral programs and their electoral promises. Usually, I do not go into detail about each constituency. There are many concerns and issues in Beirut. The people of Beirut know them, the candidates on the lists know them and the political forces know them. I would like to mention an example we all suffer from. I know that all the residents of Beirut suffer from. Before talking about the Arab project or the Persian project, it is the housing problem. Now a large share of the people of Beirut live outside it because they do not have the ability to buy or rent an apartment in Beirut due to the greed of traders and the result of financial and economic considerations and other accounts. A day may come when the vast majority of the people of Beirut - the generation of the children and grandchildren - may not have a chance to stay in Beirut. They would only be registered in the local registry. This is one of the most important issues in Beirut that requires a solution. I move to the Baabda constituency. The Baabda constituency's list is titled the National Accord. Of course in Lebanon we were, still are and will remain [in the national accord]. 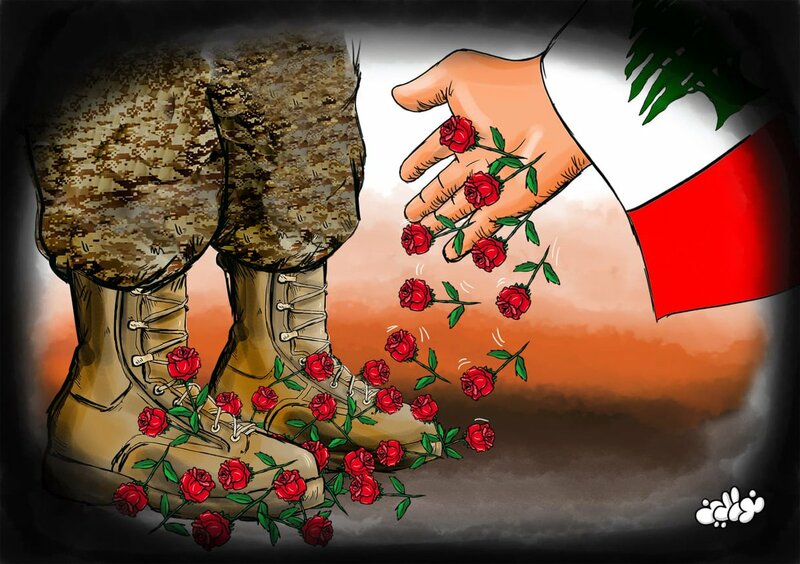 The Lebanese need the national accord, the reality of national accord, its meaning, its culture, and its will. This is achieved not only by common interests, but also by constant communication and convergence between the various components of the Lebanese people not to be disconnected from one another, permanent dialogue, focusing on the common interests, understanding each other, respect for the other, recognizing the other, his existence, his cultural and religious privacies, and his natural rights politically. All of these are elements of national accord. National accord is not just a slogan. There are people who cannot even stand the name of the southern suburb. No, you have to accept it. In the end, the names of places are made by their people. They are made by the events. History makes them. Certain historical joints cover them. We are with the name ‘the Southern Matn Coast'. Salutations to the people of Southern Matn and to the name ‘the Southern Matn Coast'. But this does not mean ignoring, insulting, or denouncing the name ‘the southern suburb'. Today, the name ‘the southern suburb' has become not only in Lebanon, but in all the Arab and Islamic world equal to resistance, honor, dignity, pride, steadfastness and the rejection of humiliation. That is why you have to bear and accept this name. You must respect it as well. These are all the basics of fixing common living and not just slogans. Today, April 13 is the painful anniversary of the Lebanese civil war in 1975. The Lebanese civil war started from Ain el-Rammaneh in Baabda district. The national accord and determination on national unity and convergence must always start from the civil war. Of course, the light should be shed on the civil war, that experience, not for the sake unearthing graves or stirring sensitivity. We do not want to try anyone but rather warn that the Lebanese civil war, regardless of its background, objectives and results was devastating, painful, and sad. It left deep wounds and scars in the Lebanese body that still exist until now. This alone is sufficient to always push the Lebanese when this anniversary comes to hold on more to civil peace, to living together as well as to common living, and to address their political differences and partisan sensitivities away from the logic of the street, fighting, confrontation, or whatever takes Lebanon to a civil war. During those days, everyone remembers the friend and the enemy. I would like to recall the American strategy at that time, which was seriously considering sending ships and boats to the ports of Lebanon to transport Lebanese Christians to Europe and adopt Lebanon as an alternative homeland to solve the Palestinian issue. The Americans, who some consider as friends from time to time, were complicit and conspired against Christians as well as Muslims. We need this accord today. In 2006, in the vicinity of Ain el-Rammaneh Street and in Mar Mikhael Church, I met with President Michel Aoun, when he was the leader of the Free Patriotic Movement. At that time, the leadership of the party and the movement were present. We made a deal and signed an understanding. That understanding accomplished great achievements during the July war, on the negotiating table during and after the July war in confronting political developments, in the Doha Conference, in the 2009 elections until the presidential elections that led to the arrival of General Michel Aoun to the presidency. But more important than all the political achievements was this convergence as well as the popular and social communication. What is more important is the embrace that took place during the July war and after the July war between the people. What is more important is what President Michel Aoun calls internal peace, psychological peace. This is what we must preserve. This is more precious than all the political rivalries. Brothers and sisters. This alliance was built on solid elements. It is known that physics and chemistry is lacking in some places. Even in our political team there are political differences. Thus, these materials form the basis for what the Lebanese press calls the ally of the ally. For years, we have adopted the ally and the ally of the ally. Today, as Lebanese - not as a party or a movement or a certain group - we are in dire need of this convergence. This is a genuine national and Lebanese need. We need this convergence, especially among the political forces that strategically agree. There is no strategic disagreement between Hezbollah and the Free Patriotic Movement, or between Amal and the Free Patriotic Movement, or between the Democratic Party and all other political forces that exist in this vast team, which is larger than the March 8 team. After the elections, we must strive to find a solution for this political rivalry between the Amal Movement and the Free Patriotic Movement as well as between the Marada Movement and the Free Patriotic Movement. National and strategic interests require that people understand each other and communicate with each other. I tell you, frankly, to all parties; there are real political forces that have a great deal of support in Lebanon. It is not logical for anyone to ignore or disregard them. We consider dialogue and convergence with our political opponents - those we disagree with on strategic issues but may agree on issues that benefit the country. Then, what about those who we agree with on strategic issues? From this experience in Baabda and from this experience of understanding between the Free Patriotic Movement and Hezbollah, we, the leadership and bases of Hezbollah and the Free Patriotic Movement as well as the rest of the political forces must also understand that when we agree or disagree, the understanding and alliance does not at all mean that we have become one party, not at all. This must be understood. We did not become one party to agree on all things and take a unified decision on everything. Alliance and understanding does not mean this. 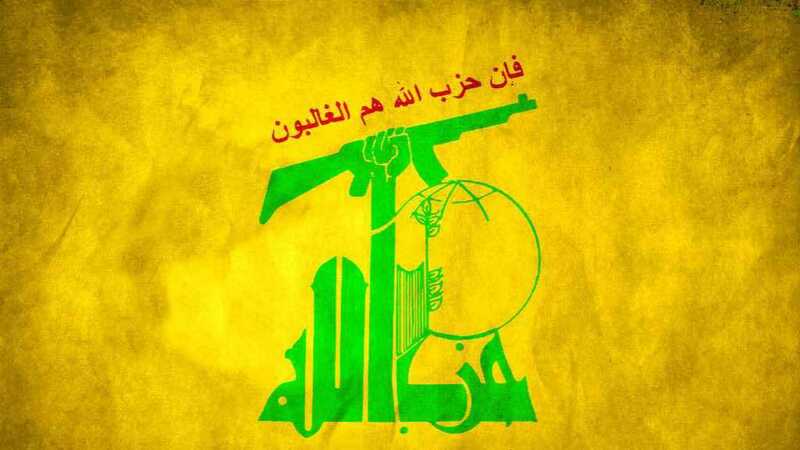 There is an understanding on the strategic issues between Hezbollah and the Free Patriotic Movement. There is an understanding on basic principles that concerns the Lebanese situation. But there are many political issues we might agree and disagree on. It is possible that we agree and disagree in the elections. Today, for example, the electoral agreement in Baabda and in Beirut's second constituency is, in fact, in its depth, more of a keenness on political consensus than an electoral agreement. If you follow the media they say that it is beneficial for the Free Patriotic Movement, Amal and Hezbollah in Baabda to form separate lists. But we were insisting in Baabda that we must be together regardless of the electoral interests to fixate the political interest because we parted for electoral accounts in other constituencies. We must learn from experience. When we used to disagree on a position, media outlets, some elites and some politicians quickly ask about the fate of the understanding. This understanding lasted for 12 years, knowing that in Lebanon, understandings and agreements usually collapse and change quickly. The evidence of the stability of this understanding at the level of the leadership of the party and the Free Patriotic Movement is that it remains firm despite the differences in many political files and despite electoral differences. This is what we have to educate ourselves and get used to in Lebanon: an alliance does not mean becoming a single party. When we disagree, it does not mean that the alliance or the understanding will falter, instead we must remain careful. The main point that I want to focus on starting from Baabda and before I move to the situation in the region is the following: Today, what we should be careful about is the cooperation between all the political forces. Today, everyone is talking about fighting corruption. This is great. There are a lot of common things in electoral programs including the financial and economic issues, administrational reform, job opportunities, building the state, the independence of the judiciary, etc. These require the cooperation of political forces and blocks to achieve it. So, after the elections we are concerned with this. But what is more important is that I want to emphasize on is the April 13 anniversary and the significance of my speech from Baabda. The Lebanese must not listen to anyone, any choice, any language or any project that wants to drag Lebanon into a civil war. No one says, 'Sayyed, you are tearing down walls'. This issue exists. This matter was on the table in 2006. It has been raised on several occasions, I want to remind you of the last occasion - so as not to prolong and talk about history. During the past few months, there was the Sabhan attempt named after Al-Sabhan. 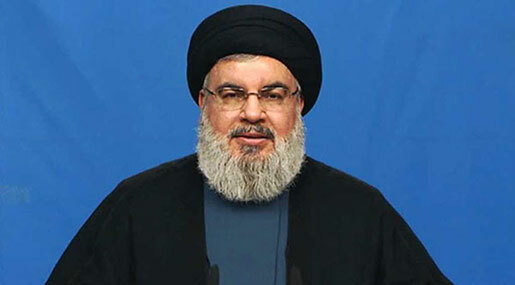 I tell you, and the Lebanese know that al-Sabhan was preparing a civil war for Lebanon. The detention of the Lebanese prime minister in Riyadh was part of it. Some were on board with this option. This matter requires alertness. Civil war is a losing option for the country regardless of the balance of military forces. One of the biggest crimes is to drag Lebanon into a civil war. In the past, when the crisis in Syria began, and we were divided as Lebanese, there were many people who had interest in bringing the war to Lebanon and that the Lebanese people fight among themselves. Of course, we were and still are - I want to describe the reality - the most important military force that was possible for it to settle scores and say there is a battle of axes in the region, in Iraq, Syria, Yemen, Bahrain and Afghanistan. But we did not. When I delivered a speech that day and announced that we are going to fight in Syria, I said a statement that some took positively while others took it negatively. I said: ‘Oh, brother, we the Lebanese, some support this direction while the others support the other direction. If we want to be partners in this battle, let's go to Syria and fight there.' What is the background of this statement? The purpose of what I said was that we do not want a civil war in Lebanon. We want civil peace in Lebanon. In this way, we isolate Lebanon from the wars in the region. This is the correct way to isolate Lebanon from the wars in the region. But there are people who insisted on pushing Lebanon to that direction. Those are the ones who brought armed groups to the eastern mountain range. 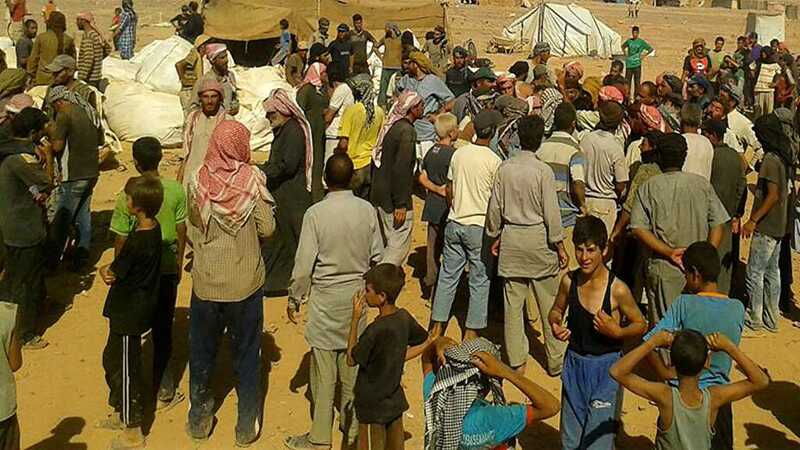 They supported them along the border in the area of Qusayr al-Hermel. They were pushing for a civil war in Lebanon. The car bombs that were exploding in the southern suburbs, in Bir Hassan, in Beirut, in Hermel and in Nabi Osman. They were pushing towards a civil war. Their confessions, the investigations and their data confirm this. They were waiting for responses. I recall the first suicide car bomb that exploded in the southern suburbs. 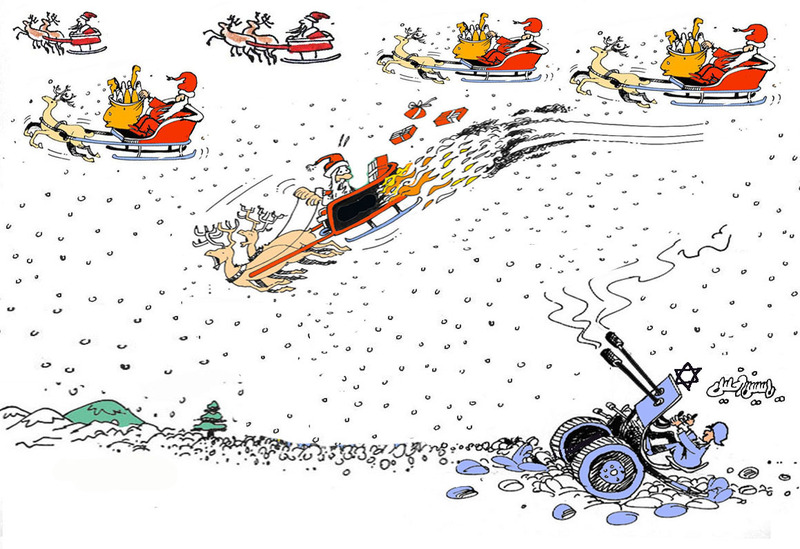 Many Lebanese held their breaths and thought that the people of the suburbs would send a car bomb in an act of revenge. There were those who were drawing a Lebanese-Lebanese civil war from the suicide bombings. There were those who were drawing a Lebanese-Palestinian fighting through suicide bombings. Couldn't they send an Iraqi, a Yemeni or a Saudi to carry out the suicide attacks? Why insist on sending Palestinians to carry out suicide attacks in the southern suburbs? Thus, we Lebanese do not want a civil war. But there are those outside who planned to destroy Iraq and Syria and who planned and is still planning to destroy Yemen, are still planning a civil war in Lebanon. This needs a solid and decisive position. Our convergence, alliance and awareness will prevent this. The awareness of the people of the southern suburbs [will prevent this]. The people of the southern suburbs showed an epic stance following the 2006 July war. They showed patience, endurance, awareness, restraint, understanding priorities, strategic thinking, discipline, as well as moral, religious, political, humanitarian, and national commitment. They raised their martyrs and wounded, rebuilt their homes, and said revenge is not in Lebanon but elsewhere. The battle is somewhere else. This is what we need. This is what must be strengthened. Our alliance in Baabda will strengthen it, God willing. Allow me talk about the latest developments in the region and conclude. Today, the region is in a state of anxiety because many leaders, governments, analysts, elites, people in general and ordinary people who sometimes do not care much about political issues. But they are all following and asking where to and what will happen as a result of some of the events that took place in Syria. Last week, two important events took place, and the situation remains. The first incident: the blatant "Israeli" aggression on the T-4 base in the Homs the countryside, which targeted Iranian forces from the Iranian Revolutionary Guard Corps present there. The shelling with a large number of rockets killed seven officers and soldiers of the Corps and injured others. This was a recent and significant event. I want to tell them that you have to know that with such a blatant bombardment .... unfortunately, look at how deceitful they are. The "Israeli" war minister, Lieberman, says that ‘I do not know who bombed the T-4 and Lebanon knows. America declared that "Israel" was the one that bombed it. Russia declared that "Israel" was the one that bombed it. The war minister does not know who bombed it! I want to tell the "Israelis" they should know - I just wrote it. I precisely chose it, and I will read it - they should know that they have committed a historic mistake. It is not an ordinary mistake. They have committed a great foolishness and engaged themselves in a direct fight with Iran, with the Islamic Republic of Iran - with this attack. Iran is not a small country, oh Zionists. It is not a weak state or a coward state. You know this. I want to comment on this incident. It is a pivotal incident in the status of the region. What preceded this incident is not the same as what comes after it. This is an incident that cannot be taken lightly as is the case with many of the events here. It is a historical juncture. When the "Israelis" committed this foolishness, they had an estimate. I tell them your estimate is wrong. Moving forward, as long as you opened a new path in confrontation, do not miscalculate. Do not miscalculate the new path that you have taken. You will be in a direct face-to-face confrontation with the Islamic Republic of Iran, full stop. This much is sufficient. We should - thank you brothers - give recognition to the Iranians who sacrificed their blood. The "Israelis" say they cannot tolerate the Iranian presence in Syria because it tightens the noose around them, because it poses an existential and strategic threat. Because so and so... there is a small number of them. Of course there are no large numbers of Iranians in Syria. There is a certain number of Iranians in Syria that "Israel" views in this sense. 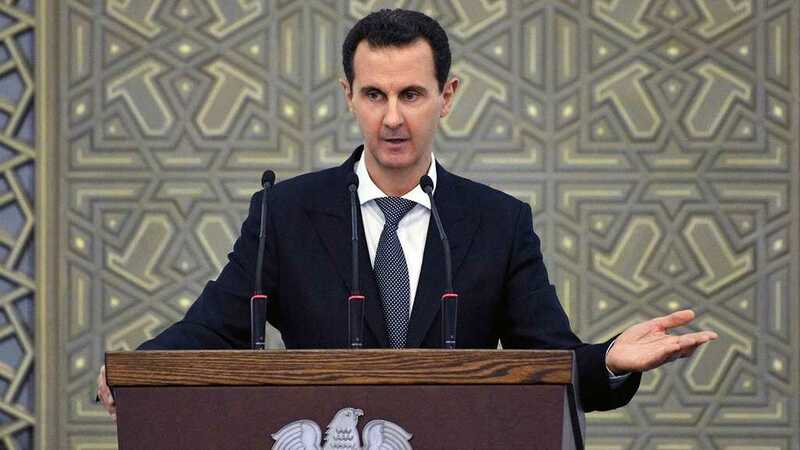 But the tens of thousands of armed groups in Quneitra, Daraa, and along the border with the occupied Golan, tens of thousands of fighters from the Nusra Front, Daesh, and the rest of the Islamic groups that possess different kinds of weapons including Katyush rockets and anti-armor weapons. All of these do not worry "Israel". They do not trouble its mind. They are not a strategic threat. It does not see them as a danger. They do not worry it. It cooperates with them, supports them, treats their wounded, provides them with information and supports them in fighting. So, those you call the Syrian revolution are considered by "Israel" as allies, as friends, although they are in the tens of thousands. It considers a few members of the Iranian Revolutionary Guard Corps with modest capabilities present in Syria as a strategic threat. This is a testament to the Iranians and the truth of the enmity. Who is the enemy and who is the friend? 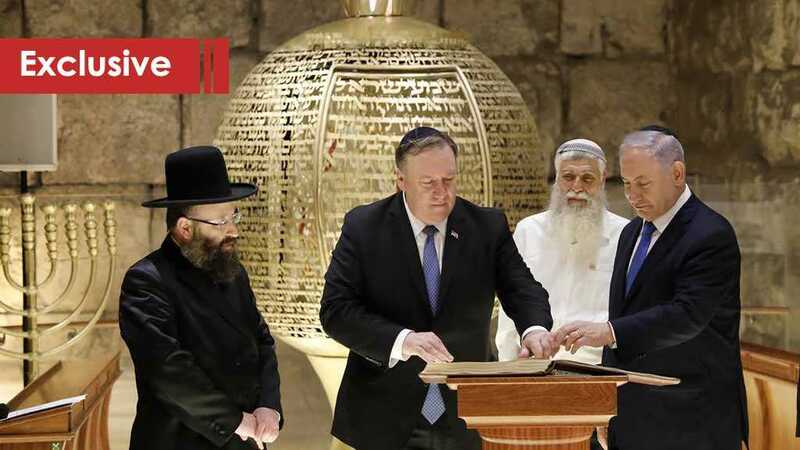 Who is defending the Palestinian cause and facing this entity and this Zionist project and who is the ally who collaborates over and under the table with this entity and with this Zionist project. The second incident is Trump's threats. Well, when the Douma play took place. You all know. You were following Ghouta, which is almost over. There were negotiations to settle the rest of Douma. Soon, a chemical play was staged. We all condemn the use of chemical weapons in any battle and consider it a war crime and crimes against humanity. It is considered one of the great sins. There is no discussion. But I would like to assure you, especially our supporters since we are part of the battle, what happened in Douma is a play. There is no chemical, nothing. This is our information. We are sure of this. There is even no logic in using chemical weapons. My brother, the loser uses chemical weapons. But the victor, why should he use chemical weapons? The story is finished. The group surrendered, and the discussion was over some details; whether they would give us the kidnapped or not, hand over the heavy weapons, or destroy them. [The discussions were] over the details. The matter was finalized. Thus, there is no logic, no mind, and no evidence. There is absolutely nothing that says chemical weapons were used in Douma. The Douma incident was a play. Weeks ago, it was said that they will be making a play. With every major victory in Syria, a play like this is acted out. Trump took this play as a basis and worked on his tweets, before discussing with the Pentagon, the Defense Department, before discussing with the intelligence, before discussing - God knows with who. You know this Twitter problem. He tweeted, threatened and wanted to bomb, strike, destroy, and make people pay a heavy price. We are facing a new stage of American arrogance. First of all, the Americans appointed themselves as investigators without investigating. That is an investigator but does not investigate. Secondly, [they appointed themselves as] a public prosecutor. Thirdly, [they appointed themselves as] the judge who issues judgments. Fourthly, [they appointed themselves as] the executioner who executes the judgments. They did not take the time. Trump did not give anyone the time; not the OPCW nor the UN Security Council nor anyone to investigate if there was a chemical attack or not. No, he just saw it on television and based everything on it. This is part of a collusion, conspiracy and plan. He announced and threatened. This is arrogance. This is superiority. This is insulting the international public opinion's intelligence. This is a person who wants to impose himself on the whole world and subject it to his choices. This is the first point. 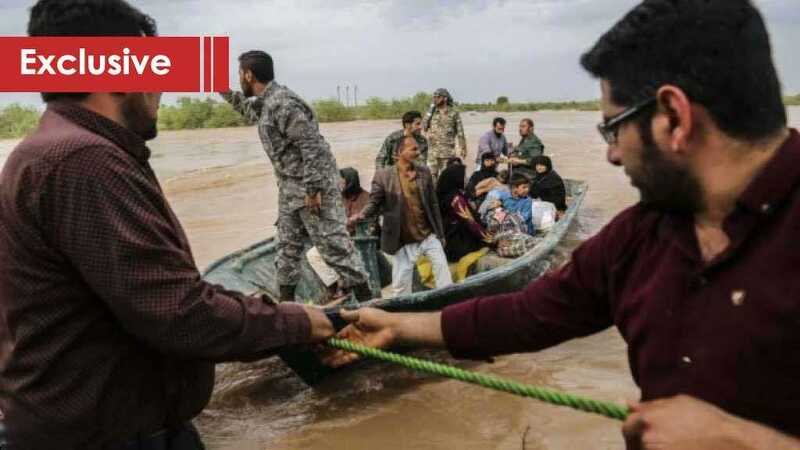 The second point is that the people of the region have the right to worry, not only from this incident, but as long as there is a person called Trump heading the presidency of the United States of America. I say to all governments, states and armies, the nations of the world not only us, all the people, you are right to be worried. Why? Because today in Washington, one of the most important superpowers in the world is led by an administration and a president. First, the administration is not harmonious, it is conflict and disagreement. It is strategically confused. A few days ago, one of our brothers said a beautiful phrase, ‘now we are discussing what Trump will do, what the Americans will do. They will strike. They will not strike. The size of the strike. The objective of the strike, etc. The Americans themselves might not know what they will do. It is possible that they do not know what they are doing. They are strategically confused in the region. There is a confused administration. There is an administration where one day a secretary resigns; the second day a secretary, a foreign secretary, a national security adviser, an internal security adviser or a justice minister is sacked. It is a confused administration. The administration is in disagreement. It has no strategic vision for anything. There is the president - the administration is one thing and President Trump is another story - who we cannot tell his head from his toes. How does he think? How does he take decisions? We are faced with a president who has a number of traits in his personality. Firs of all, he is a rowdy president ‘he gets annoyed'. He takes a stance and takes to twitter. There doesn't seem to be a need to refer to the national security council or advisors and study the situation, and have the White House spokesperson issue the stance. No, Twitter is in his pocket. He takes it out, tick ... tick ... tick. He made a decision. Correct or not? Who can control Trump? He takes emotional, uncalculated and unthoughtful stances. He was allegedly going to war with North Korea. He sent destroyers and aircraft carriers. The whole world was sitting on the edge of their seats. In a single moment, everything disappeared. Now, ‘we want to negotiate with North Korea.' A week ago, he was declaring that ‘we will withdraw our troops from Syria very soon'. Neither the US State Department nor the Department of Defense had any knowledge. No one. The Americans as well as the whole region were confused. The withdrawal of American forces from Syria has many meanings as well as strategic, political and security implications. The entire world was confused. No one knew except Trump. He is an emotional person. One week ago, he wanted to withdraw from Syria. A week later, he wants to wage a war on Syria. How does he take these decisions? He is an emotional president. Secondly, the president is a tradesman. He thinks of money and trade. He takes money or he does not. Therefore, during the days of Obama or even George Bush, you used to hear some terminologies in their addresses including freedom, democracy, the transfer of democracy to the world, world peace, and international peace. Read his speeches since Trump became president a year ago and during the elections and the electoral campaign. All of them include [the words] millions, billions, jobs, they have to pay, those did not pay, they have a lot of money. All of it is about money. He is a president who is dreaming. What do we do with ourselves? I am talking about the people of the world. What will they do, not us. We know what we will do for ourselves. This is Trump. This is his mentality. The second day he issued a statement saying he wanted to withdraw US troops from Syria. On the second or third day, he had a press conference with three advisers next to him and he said ‘if Saudi Arabia was interested in keeping our troops in Syria, it must pay.' He was doing like this with his hand (the hand gesture that refers to money). What kind of president is he? What does this mean? This means that the US military is a group of mercenaries. You pay, we fight. You do not pay, we leave. Any other expression has no meaning here. 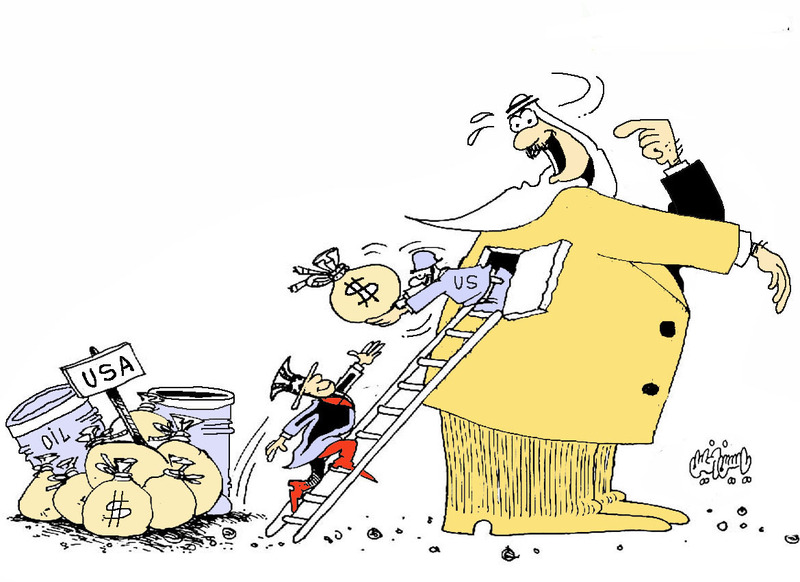 If you are calling for democracy, freedom, human rights, peace in the region and fighting terrorism, what is its relationship with Saudi Arabia paying money? Trump is dealing as if the US forces are a group of mercenary soldiers, not only "Black Water" but worse than "Black Water". It is worse than any American security company. Pay money and I fight for you, I wage proxy wars for you. Therefore, we have a tradesman for a president with a commercial mind. We also have a president who is overwhelmed by his internal problems, scandals, and investigations conducted by special council Mueller. Do you recall on the same day that he threatened to bomb Syria - on Sunday - an hour or two hours later he tweeted, attacking special council Mueller over his investigations and absurdities as he expressed. We have a stressed president. We have a president, who is a tradesman and emotional. We have an inconsistent administration that lacks a strategic vision. Is not it right for the world to be afraid and be worried? Because there is ambiguity. No one understands anything. Based on this, your question is what will happen in Syria? He said yesterday, maybe something will happen very soon and maybe not soon at all. That is what he said, not what I say. With such a president and with such an administration, you can assume everything. I do not want today to presume one hypothesis over another. We, in Lebanon, are the ones following. Our brothers in Syria and the people of the region can sit down and say ‘at any moment, maybe it will come out on TV, that there is nothing anymore. The subject is closed. He withdrew his threats. Life will move on normally in Syria and in the region. You can take the hypothesis of a limited strike to save face. And you can take the prospect of war. Everything is possible with a president possessing these characteristics and an administration with these specifications. Fourthly, we must emphasize on it. Trump, the US administration and all the intelligence services that are watching the situation in the region must know what is happening now. This is an important point. I will say these two consecutive points. The first point: Usually when the Americans threaten, what does they expect? The world is terrified. The world is scared. Syria is scared and terrified. They expect that Iran, Russia, the resistance movements, and therefore the people will quickly submit, surrender, bow down and give up, and not do anything. Whatever you want, we are at your service. I want to tell you today. Today is April 13, I want to tell you and let the whole world know that all these tweets and Trump's American Hollywood-like threats did not and will not frighten neither Syria nor Iran nor Russia nor the resistance movements in the region nor the people of the region. No one is afraid. This is first. He should not wait for someone to submit to them or for anyone to give in. Today, there is a great force in the region founded on the basis of victories. It fought major battles and defeated major projects. It possesses the ability, mind, understanding, morale, will and human extension, which makes it face the worst hurricanes of this world. Let there be confidence on this speech. No one is worried. No one is terrified. No one is afraid. No one is going to surrender. Let him rant the way he wants and do what he wants. Let him do whatever he wants not just rant. The second point is very important. He is now threatening, tweeting, and thinking of launching an aggression on an axis that has just emerged victorious while America is emerging from a large set of defeats. 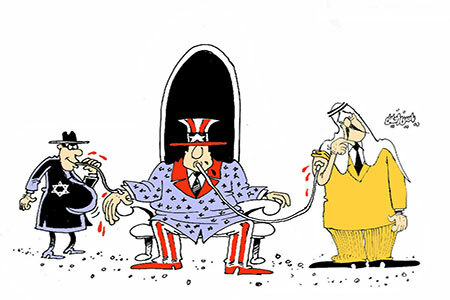 America, which was defeated in Iraq - of course its projects were defeated -its project was defeated in Syria, its project was defeated in Lebanon. It is powerless in Yemen. It is still helpless before the Islamic Republic of Iran as it was betting on subjugation and humiliating it. There is also America's history of wars in the region - from Vietnam to Lebanon in the early eighties, to Iraq to Somalia to Afghanistan. It is scoring large defeats, and we are scoring large victories. It is greedy and afraid of sacrificing blood, while we are heading on a path where we have provided tens of thousands of martyrs for this nation to preserve its dignity, pride, its al-Quds and decision. The most important point here is that the US administration knows that its war on the region will not be a war on the regimes and its battle will not be with the armies as much as it will be with the people of the region. We are at a new stage in which we fully assume our responsibilities, confidently, consciously, with understanding, with reason, with wisdom, with responsibility, with will, with determination and with courage. Dear brothers and sisters, we have taken a lot of your time. Our date is on May 6. Going back to the elections, our date is on May 6 with the attendance and the intensive participation in all the constituencies; Beirut II, Baabda. In all constituencies, we have to have a large presence. There are people -left and right - that might raise suspicions in some place. There are people who are trying to raise suspicions. I do not want to say what these suspicions are so as not to promote them. But I comment with one word to tell anyone that might fall into religious, jurisprudential or political suspicion. From our religious as well as political position, go, vote, and elect. Be a true supporter and be present forcefully but calmly. Loud voice in the elections is normal. But we want the presence to be calm. We do not want any problems with anyone. We want calm elections, safe elections. We want elections that promote civil peace where everyone expresses his opinion and elects who he wants. But we are waiting for you on May 6, for what? For your loyalty as you are the people of loyalty. For your loyalty to the promise, for your loyalty to victory, your loyalty to the blood of the martyrs, your loyalty to the resistance, and your loyalty to the future of this country. For a free people, proud, sovereign, generous, and dear and for a sovereign, strong, and dear state. We're waiting for you on May 6 with your votes that should be present at the ballot boxes. May Allah grant you wellness, success, and blessing. Peace and God's mercy and blessing be upon you.